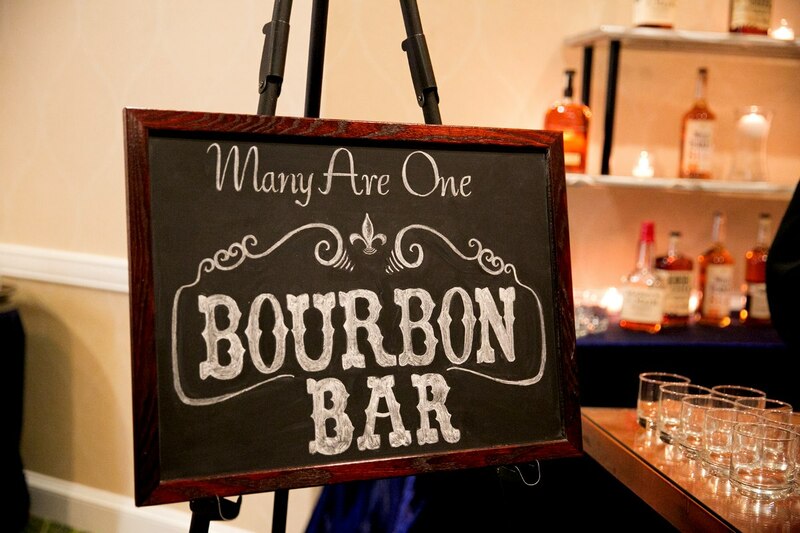 “Many Are One” is Seton Hall University’s alumni awards gala is SHU’s premier black-tie event. Every Spring they honor a group of accomplished honorees with a big party. Part of the party is usually a table where fun or unique drinks are served, and I do the signs. In 2015 it was a Bourbon Bar. Notice how the logo is hand-lettered to match the event’s logo?